I failed today’s saving throw against another flu-like mystery illness. I don’t know what else to do at this point except make an appointment with the doctor and sincerely hope it is something that I can fix with diet (like Candida albicans) and not something horrible. Can’t even go there in my head right now. 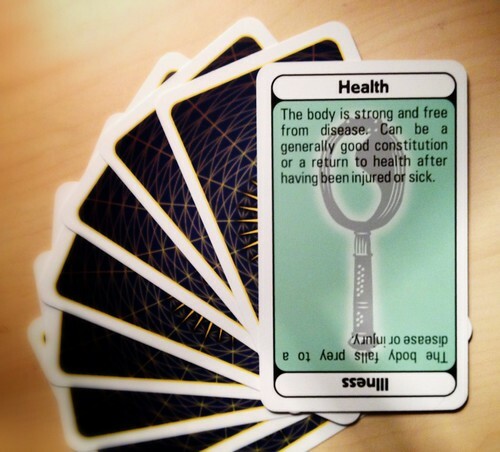 Looking through my Story Forge deck tonight, I found this card, “illness” side up. I turned the card for Torgi and for me too.